In a world where throngs of people go bonkers over a job where you get paid to drink beer all summer, it's clear that many folks are not living their best lives, making it only natural to be simultaneously fascinated by and jealous of the lucky (and hard-working) people who are. From rubbing elbows with Anthony Bourdain to conducting next-level ice cream experiments, these 19 professionals have amazingly inspirational and enviable jobs in food, as well as some sage advice on how they got there. What he does: For Souza, every day at work is different. One day he's debunking the mysteries behind water ratios and rice, the next he's off to Penn State to brush up on the physics of ice cream. In addition to cooking on camera, Souza is developing the newest arm of America's Test Kitchen: Cook’s Science, where he and his co-editor Molly Birnbaum fully nerd out about the science behind cooking though research and recipe development. Cook’s Science will launch online this summer. How he got the job: Souza left a job in advertising to go make salads for $9 an hour. 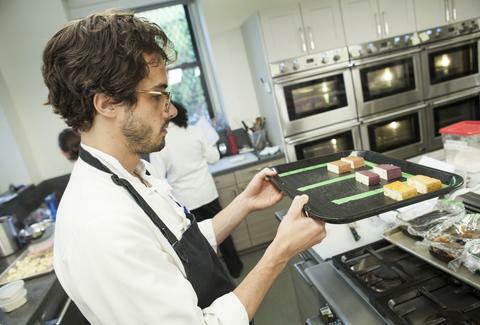 He then upped his game by studying at the Culinary Institute of America and worked at New York's famous Le Bernardin. Souza loved the speed of restaurants, but wanted to find a different way to work with food. He tracked down America's Test Kitchen outside of his native Boston and after two days of "staging" (that’s kitchen code for interning), landed a job on its cookbook team. A few years later he moved on to Cook’s Illustrated and soon became a senior editor. Now he gets to head up his own team with Cook's Science. Advice: Get rid of your fear and worry that your background isn't right; the food industry has people from so many different walks of life. If you’re interested in the testing side, try and get some science under your belt. And cook all the time! What she does: What's cooler than hiring one caterer to work your event? Hiring a band of food trucks! Barrie Schwartz is the food truck whisperer. She organizes the 75-plus food trucks in New Orleans (she's eaten at them all, and knows who is best) and pairs them with venues in what is probably the most badass catering affair known to man. Her clients range from big corporate conferences to nonprofits, weddings, and more. Schwartz's cutting-edge culinary expertise is so respected in the industry that she was recently asked to help curate vendors for New Orleans' first food hall. She was also included in New Orleans CityBusiness' "Ones to Watch," and was one of Gambit's "40 Under 40" in 2014. How she got the job: After moving to New Orleans after college, Schwartz jumped right into the food industry, working as a server at the well-known restaurant Coquette. Simultaneously, she starting hosting pop-up dinners in her house with sous-chefs from all over the city, the most popular of which involved multiple chefs. 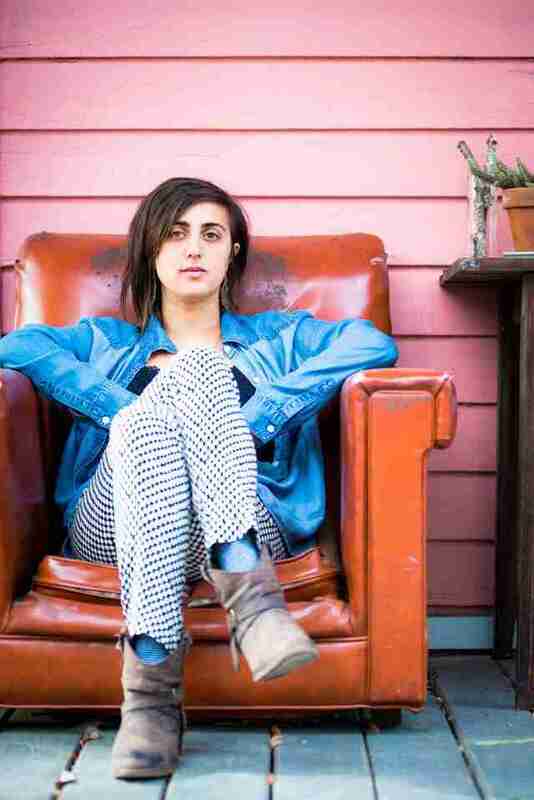 Demand grew, and Schwartz looked to larger formats and soon My House NOLA was born. Her first break into the corporate world happened when Microsoft came to town for a massive conference. With 8,000 people to feed, no one caterer or restaurant could do the trick. My House NOLA was there to set up a team of food trucks on the riverfront. Business has only grown from there. Advice: Fake it till you make it! Things will always change, so be ready and accept it and be able to evolve with it. 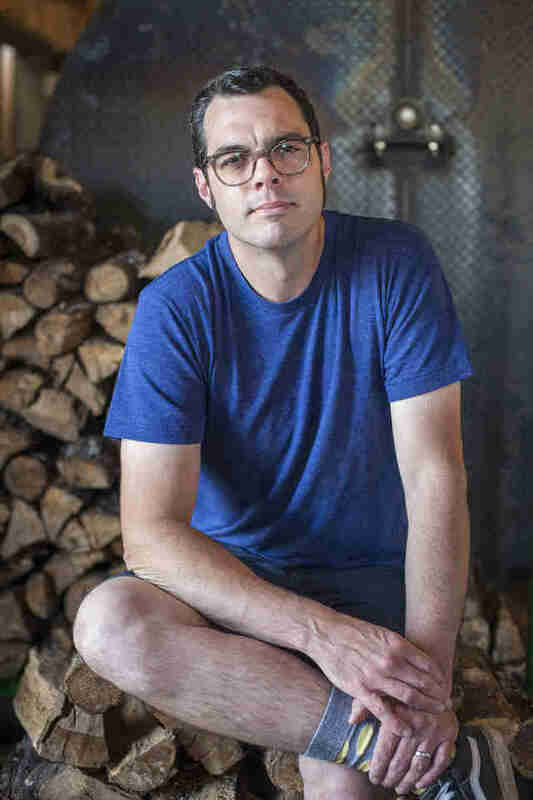 What he does: When Aaron Franklin isn't hanging out with Jon Favreau (don't deny you loved the delightful Chef), he's either cooking ribs at 12:45am or building a BBQ cooker in his welding shop. As pitmaster and owner of the eponymous Franklin Barbecue, Franklin is responsible for making sure his famed BBQ is always consistent with the quality and taste his customers have come to expect and worship. What's the secret to his success? Franklin jokes that they marinade their brisket in unicorn's blood. Haha, but wait... maybe? How he got the job: Twelve years ago, Franklin had no clue how to cook BBQ. But, like any good Texan, he and his wife Stacy would host backyard BBQs for friends and family. Casual BBQs soon turned into annual affairs so huge they had to rent out spaces just to host them. Stacy found a trailer, Franklin pimped it out, and soon they were selling their BBQ in a lot next to his friend’s coffee shop. A little over a year later they bought what is now Franklin Barbecue, where if you even want a shot at getting some of their cult-worthy BBQ, you better show up at breakfast time. Advice: If you don't have any money just build it yourself! And there is no substitution for your own labor. 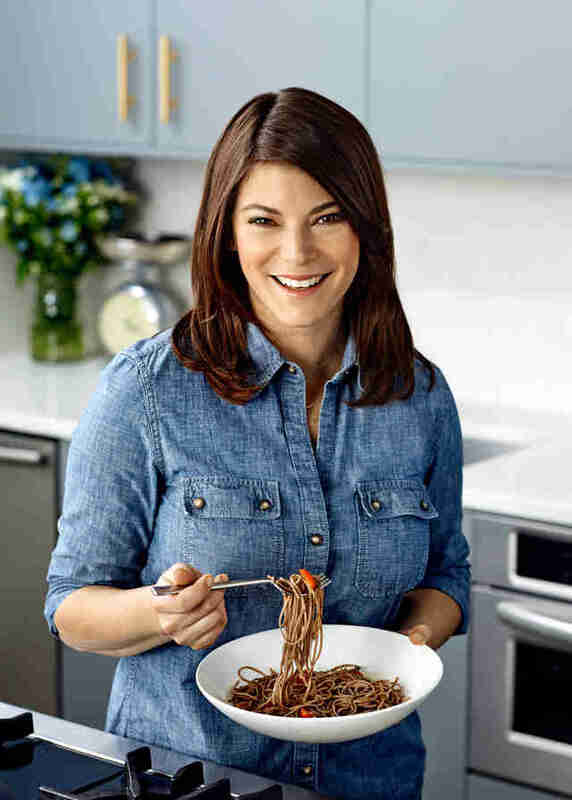 What she does: Gail Simmons wears a lot of hats, each more fabulous than the next. She is the special projects director at Food & Wine, author of Talking with My Mouth Full, entrepreneur-in-residence and teacher at Babson College, founder of Humble Pie Productions (yes, she's behind the camera, too), and perhaps most famously, a permanent judge on Bravo's Top Chef. At the moment, she is filming and producing the first season of Star Plates, her production company's celebrity-and-chef-paired show. 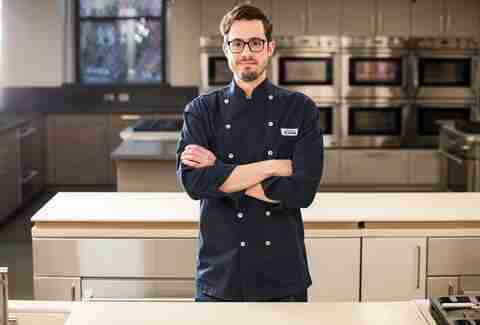 By the end of the month Simmons will be off to Charleston to shoot the 14th season of Top Chef. Oh, and she's also writing her first cookbook. How she got the job: Simmons started writing restaurant reviews for her college paper. After graduating, she worked for a Canadian newspaper, but quickly moved to New York for culinary school. From there, she spent six months working in some of New York’s best kitchens. When Jeffrey Steingarten, the food critic at Vogue, needed a new research and recipe development assistant, Simmons fit the bill and carefully tested recipes and helped him with his next book for two years. She moved on to the marketing and events team at Daniel, because when Daniel Boulud offers you a job, you take it. Then, three years later, Simmons got a job at Food & Wine magazine where she was able to combine all of her food and media knowledge. One year in, a producer from Bravo approached the magazine to see if they had anyone to do a screen test for a new reality food show. After a heartfelt and intense critique of a diner omelet, Simmons became the third judge. Advice: You need a backbone to differentiate yourself in the marketplace. Seek out mentors you trust and admire, and don't let your ego get in the way. Or best put, "keep your mouth shut so you can listen, but open so you can taste." What she does: The food photographer for the likes of Beat Bobby Flay on the Food Network, the Union Square Hospitality Group, Edible Manhattan, New York Magazine, Cherry Bombe, the Waldorf Astoria, The Meatball Shop, and even Shake Shack, Clayman takes photos of food and its makers at their best and sexiest. How she got the job: After waiting tables for a grueling eight years and constantly emailing every magazine she wanted to shoot for, she got her first break. By offering to do some pro bono work for the Food Book Fair (see below), Clayman was able to get in front of some powerful industry people and everything blossomed from there. It also helped that over the course of her time working in restaurants she built up a portfolio by shooting for friends in bakeries and kitchens. Advice: Be persistent, use Instagram, do strategic pro bono work, and get out there and in front of people! What he does: Beumer gets to play with meat all day. 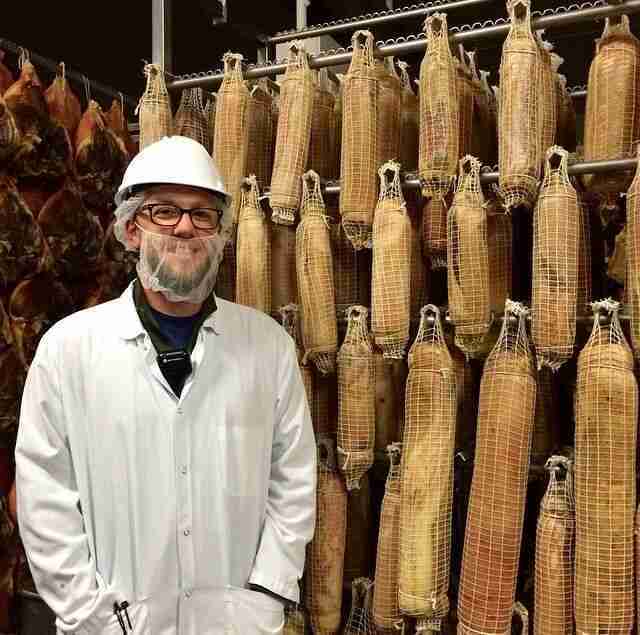 As the plant manager at the award-winning American salumi producer La Quercia, Beumer works with the best farmers to create pancetta, guanciale, salami, prosciutto, coppa, and more. He recently helped develop the company’s version of the spicy spreadable salumi called ’nduja and is now in the process of testing a new type of cooked salami. Of course, quality control, aka, tasting all the delicious pork products, is a regular part of the job. Jealous? How he got the job: Beumer went to culinary school later in life and worked in restaurants. Looking to change careers, he went back to Iowa State to study animal and meat science. While working at a grocery store in the meat department, Beumer was introduced to Herb and Kathy, the founders of La Quercia. He soon toured the facility and offered to work for free, because he just wanted to be part of it. (He already loved salumi and was even making it at home.) Working one day a week morphed into two, and eventually he got a full-time job. Five years later, Beumer is now the plant manager. Advice: Read up as much as you can on your desired field. Find people in that field and talk to them, offer to work for free, go out and make it happen. What she does: If you were that kid who wanted to play with every gadget and appliance in the kitchen department of Macy's, then Franke has your dream job. 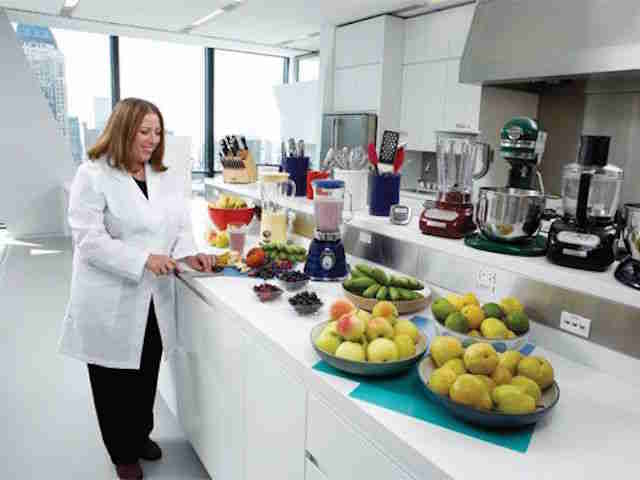 As the appliances & technology director, Franke tests and reviews any and every kitchen appliance and tool you can imagine: cooking ranges, refrigerators, blenders, pots, pans, thermometers, sous-vide machines -- everything! She even gets access to products before they come to market and often gives the creators her prized advice. How she got the job: After going to culinary school in New York, Franke worked in kitchens and climbed the ranks for seven years, but eventually burnt out. While freelancing as a caterer and teacher, she applied to a job ad in the NY Times for an assistant editor in the Microwave Cookery and Food Appliances department of Good Housekeeping, even though she admits she knew nothing about these "new microwaves appliances" that were just becoming popular (this was 30 years ago). For the next eight years she developed hundreds of recipes for the microwave, including brownies, scrambled eggs, and even a veal roast stuffed with cheese and peppers. After eight years, Good Housekeeping changed her department's name to the Appliances and Technology Department, and 21 years later, Franke's running the whole show. Advice: Don't be afraid or limited by what you think you don't know. What he does: Kanarick founded Mouth, an online speciality food store, as a way to celebrate the amazing "indie" food producers across the United States. Although a good part of his job focuses on the decidedly unglamorous jobs of company strategizing, money raising, and, you know, making sure the company continues to exist, he also gets to meet some of the coolest food-makers, taste products, and bring them to market. Some recent favorite product selections include: ostrich jerky, nori sesame popcorn, salty black licorice, pickle juice (for dirty martinis and picklebacks), and some crazy-amazing bourbon. How he got the job: He started the successful digital agency Razorfish back in the '90s, as well as an experiential marketing group within the Rockwell Group. Then, after finishing a year-long consulting project for Samsung.com, he was jobless. Struck by the increasing popularity of the Cooking Channel, emerging food markets like Smorgasburg, and the willingness of millennials to spend a big chunk of their paychecks on food, he realized there was a huge opportunity to help local specialities get national exposure. Advice: Get as much general food experience as you can, because if you go into the startup world you'll end up doing a little bit of everything. What she does: Robyn Sue Fisher is disrupting the world of ice cream, one scoop at time. Through her patented nitrogen Brrr technology, she has found a way to make the freshest and creamiest ice cream, to order, including all new alcoholic varieties coming this summer. Fisher's technology is able to freeze below the freezing point of alcohol, so ice cream can be infused with all sorts of liquors. How she got the job: After four years in management consulting, Fisher made herself a promise: to make being an adult fun. She got her MBA and graduated with an offer from the FBI to become a special agent (?!). Fisher decided to pursue ice cream instead and spent the following two years working with an engineer to develop the perfect ice cream machine. Broke, but with the perfect machine, she sold her frozen treats out of a wagon. Two years later she opened her first store. 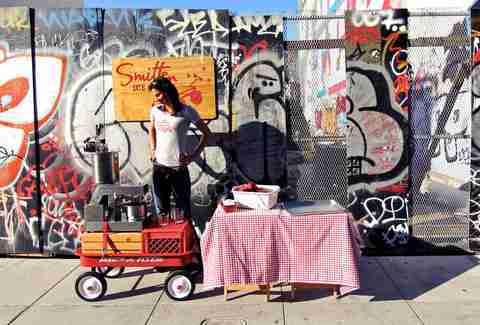 By the end of this year Smitten will have opened its 10th location. Fisher still regularly carts along her "BRR" machine to Google parties, food festivals, and fans' personal events. Advice: Push boundaries! Start with something you love and figure out what you can do to make it even better. What she does: Through Potluck Video (which airs Thursdays at 8:30pm on NYC Life), Rosen's food-and-drink video journalism platform, she covers all the newest food trends, restaurant openings, and talks to the world's greatest chefs. Oh, and she gets to have Michael White cook her pasta. How she got the job: Rosen started her career out like Kenneth the Page on 30 Rock, working for NBC Nightly News with Brian Williams, back in 2008. At the time no one was really doing a lot of online content, and so her team trained and even let her shoot and edit her own pieces. From there Rosen went on to report for NY1, filming herself on a tripod and editing everything on her laptop. From there she got a job at The Daily Meal and started a video series called "The Chef's Table" and interviewed some of the most influential chefs of our time. One thing led to the next and PotLuck Video was born. Advice: Do your research, read the book, eat at the restaurant, create a space where people can really share what they are doing, and build on it. What he does: Fehsenfeld is the jam man. He regularly tests and creates new recipes and product lines, the current of which is a line of mostarda, a more assertive preserve to pair with cheeses and meats. The last batch featured green apples, pears, white wine, mustard, and lemons. Yum! 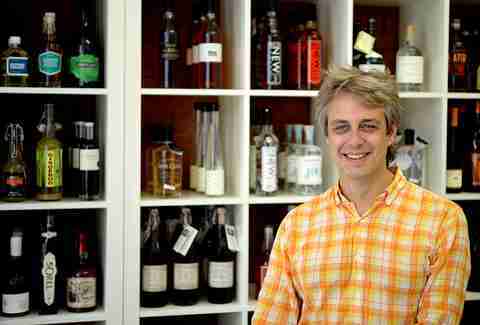 How he got the job: Fehsenfeld has been making jams and preserves since he was a kid. After culinary school, he worked in restaurants, but always had a strange obsession with condiments and would make them on the side. The obsession grew and while he was working at a wholesale bakery, he rented a commercial kitchen. After work, he would head to the kitchen and make preserves into the wee morning hours. Nine months later he took the plunge with the help of his wife Clare and started Quince and Apple full time. Advice: Figure out what you are uniquely good at and be disciplined about sticking to it. What she does: When Food & Wine magazine named The Cecil one of the "5 New Places to Eat and Drink in Harlem," Lehmann helped pitch that story. That’s how she likes to refer to what she does: she helps amazing food companies and restaurants tell their stories and in turn, also helps build their brands. At her boutique public-relations agency, Lehmann works with high-end food clientele such as Dan Kluger, Tarallucci E Vino, Curtis Stone, and Fleishers Butcherery, among so many other cool restaurants, chefs, and food brands. How she got the job: After graduating with a communications degree, Michelle worked for some of the biggest public-relations firms and eventually got snatched up by Zagat to be the director of public relations. Michelle then went on to become the first in-house director of PR for the Union Square Hospitality Group, right as it was beginning to boom. During her 10 years there, she helped launched the new Eleven Madison Park, The Modern, Untitled, and Shake Shack. She left to start her own firm with Mr. Meyer as her first client. And through some top-notch word of mouth, business grew from there. Advice: Internships are key. And if you want to do food PR, it's great to get some experience in the food journalism world: it enables you to see the other side of who you'll be working with. What she does: As a cookbook developer, Robert helps chefs and food writers test, develop, and write recipes for their cookbooks. Basically, she helps translate chefs' genius for us regular folks. At the moment she is helping wrap up a two-year-long project with Mark Bittman for his next encyclopedic cookbook: How to Bake Everything, and her next big project is with the James Beard Award-winning chef Alon Shaya from New Orleans. 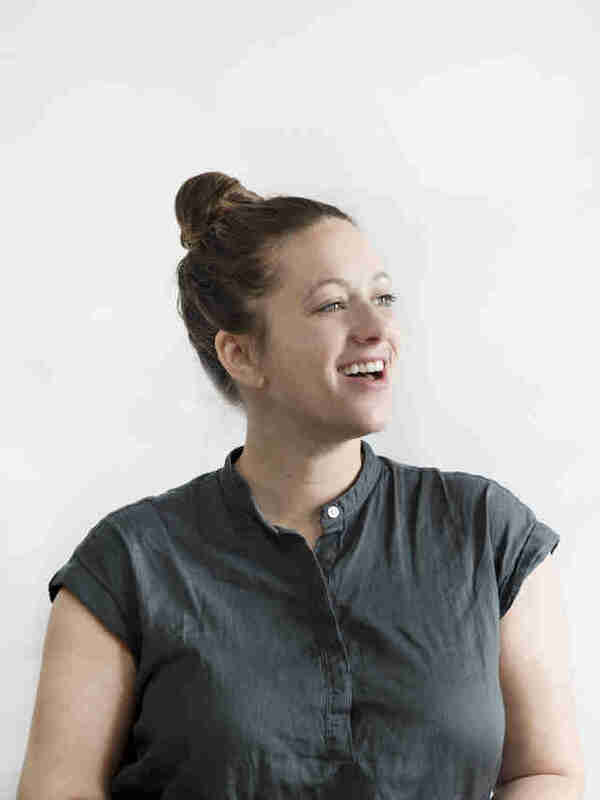 How she got the job: Robert wrote about food all throughout high school and college and used that experience to get a series of food internships after she graduated, including a killer one at Food52. At Food52 she was connected to Mark Bittman who needed help with his newest cookbook venture and her career started from there. Advice: Hone attention to detail like crazy, like you would a science experiment. Take detailed notes of the procedures by writing out everything step by step. What she does: In addition to being a cookbook author, Chitnis is a regular contributor to Edible Rhody. She just published her third food book and second cookbook, Icy, Creamy, Healthy, Sweet, a dessert-focused book aimed at providing healthier, more nutritious alternatives to everyday sweets. She also just got a sponsorship deal with Vitamix and HawaiianShavedIce.com. How she got the job: Chitnis graduated with a degree in environmental studies and worked for a health-and-wellness nonprofit in Chicago for five years. She left the nonprofit world when she moved to Rhode Island with her husband, and started regularly freelance writing for local magazines and papers while working on farms during the summers. Her love of farms and farmers markets inspired her first book, Markets of New England. 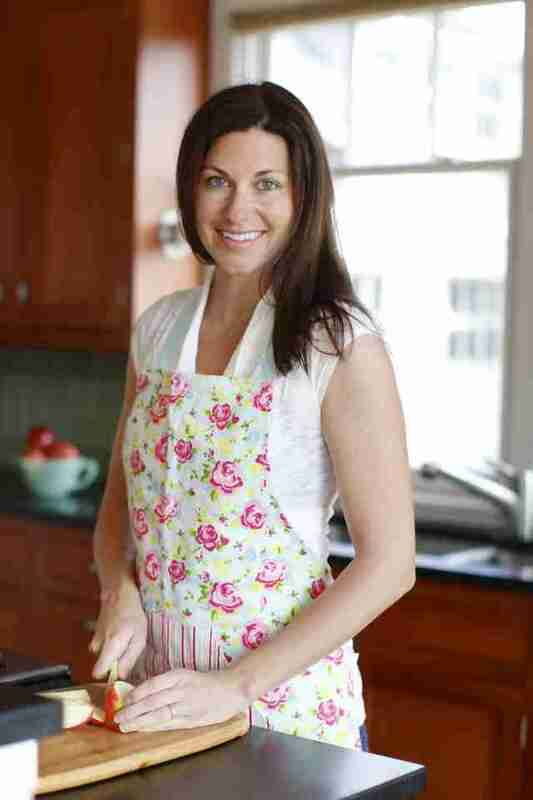 The birth of her sons prompted her second book and first cookbook, Little Bites, filled with healthy kid-friendly snack recipes. Advice: Approach your passion realistically. Chances are you will initially need a supplemental job to help pay the bills if you're looking to be a food writer. What she does: Medlicott curates and oversees over 6,000 books and counting. Her job includes being a professional cookbook shopper, recipe and ingredient historian, writer for the culinary school's blog, and organizer of the "How to Write Your Own Cookbook" series offered at the school. 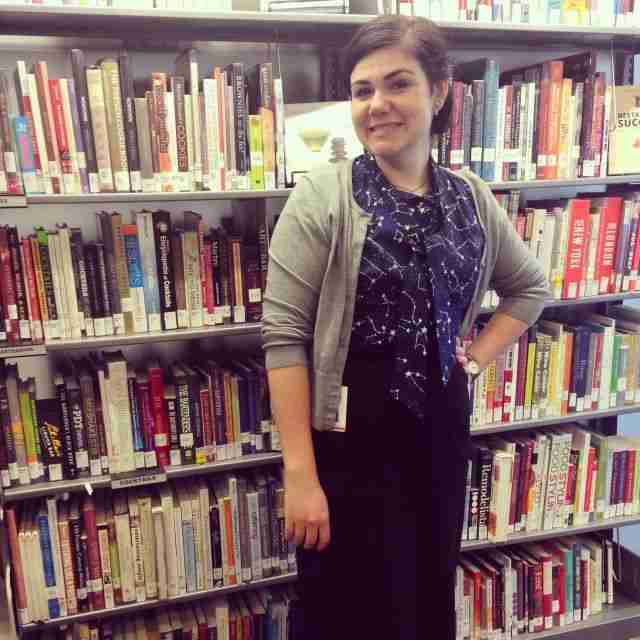 How she got the job: Sara got a masters in library science and then went on to work at... Rikers Island. Yes, the prison. After four years in the prison library, she worked for the Queens Public Library and even the library at a university in Guatemala City. When she saw the job posting at the ICC she jumped on it. Advice: Consume as much food media as you can. And while the number of food librarians is limited, it's a growing field! Did you hear the Austin Public Library recently added a cooking demonstration area? What she does: Clapner doesn't get much sleep because she's up thinking about the next chocolate concoction she is going to develop and test. She is most famous for her Albatross fudge, made with Rogue Creamery's blue cheese. Katherine recently developed a butter toffee featuring cocoa nibs previously used to make Deep Ellum's Cherry Chocolate Stout. 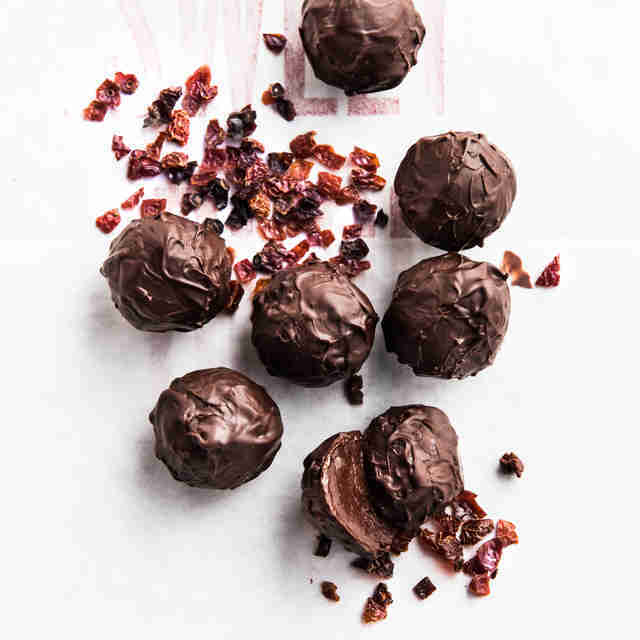 How she got the job: A pastry chef for over 20 years, working everywhere from the kitchens of the Savoy in London and all over the US, she left the kitchen to consult and was soon commissioned to make custom chocolates for Merrill Lynch's holiday gifts. The chocolates were so successful that a year later she opened her first store. Today, Dude, Sweet Chocolates has four stores and ships nationwide. Advice: If you are a brand, stick to what you are known for and be consistent throughout every aspect. Don't try to do too much too soon. Do what you can and do it well. What he does: During his several week-to-month-long stays in his city of interest, Adam and his team research, interview, and photograph the good and the bad of the culinary scene. 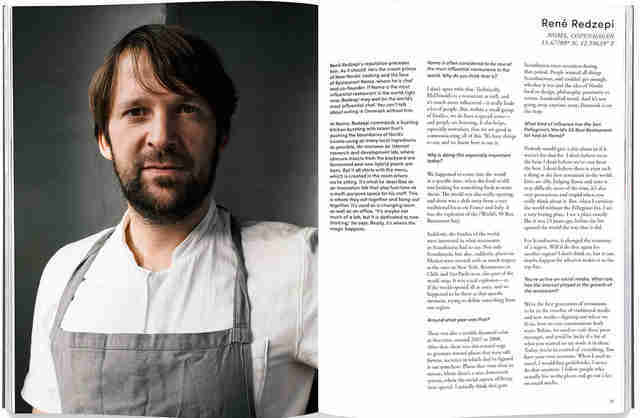 In his recent trip to Copenhagen he uncovered the aftermath of a Noma-influenced food world, including the bustling taco truck of Rosio Sanchez, the former Noma pastry chef. Adam also publishes Drift, a magazine that looks at cities through the lens of coffee. The last issue featured Havana. How he got the job: Goldberg has an engineering background, and worked for Google and consulted for tech companies for over six years. Hungry for travel and new ways to meet people from other cultures, Goldberg decided to start Drift. He released his first issue about New York in January of last year. Nine months later his team put out the first issue of Ambrosia. Advice: Find a niche market to help differentiate yourself. What she does: Grace Park has hosted Blake Lively, Carla Hall, and Christina Tosi among a slew of other famous chefs and celebrities in her unique culinary event space called The Kitchen Table. As the owner and host, Park does everything from planning and booking the event, to pairing the right chef and sommelier, to creating the perfect ambience. The space feels like a glamorous dream apartment in SoHo you could never afford. Sigh. How she got the job: An at-one-time architect specializing in restaurants and hotels, Park transitioned into event design after getting a masters at hotel school. 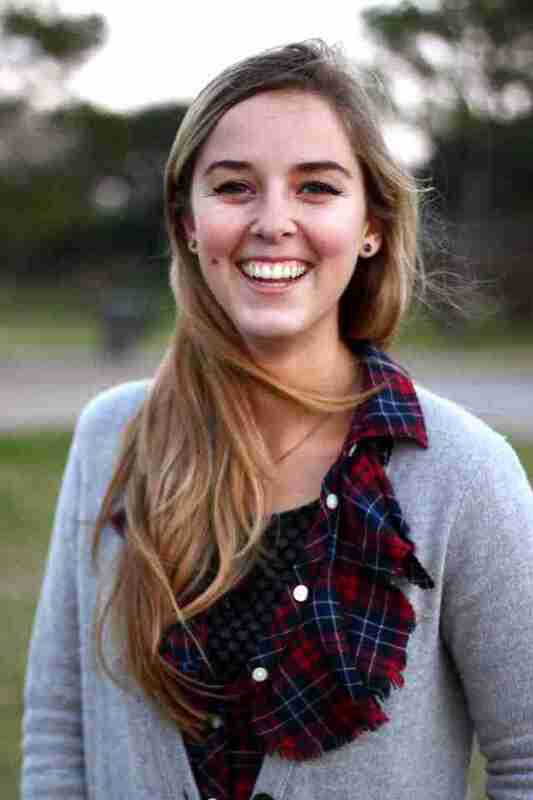 She worked as a freelancer in event design and production for over four years. 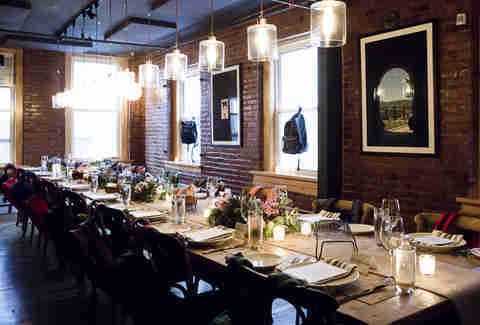 Inspired by the difficulties of throwing a classy party in the constraints of small NYC apartments, she decided to build her own event space. Her first big break came when chef and food personality Carla Hall used her space. Now, business is booming. Advice: If you're going to be an entrepreneur, surround yourself with a supportive group of friends. They make all the difference. What they do: Under the direction of Kim and Amanda, the Food Book Fair (which was born back in 2012 as Elizabeth Thacker Jones' grad-school thesis for the NYU food studies program as a way to combine and feature the world of food systems, culture and media) has grown into a four-day festival of panel discussions, a pop-up bookstore, Foodieodicals, cooking demos, conceptual literary dinners, film screenings, and much more. How they got the job: Amanda worked for five years in the front of house for the Union Square Hospitality Group before breaking off to freelance as an event planner. Along the way she also did some consulting work and represented the first culinary coloring book Small Thyme Cooks. She repped the book at the Food Book Fair in 2014 and got immediately involved from there. Kim was an art reporter for newspapers and magazines for four years. After being laid off from a job, Kim met Elizabeth and starting helping plan the fair, soon running Foodieodicals, the indie magazine event. She continued to become more involved, and now co-runs the show. Advice: Go to lots of food events (many are free) and meet people! Network! 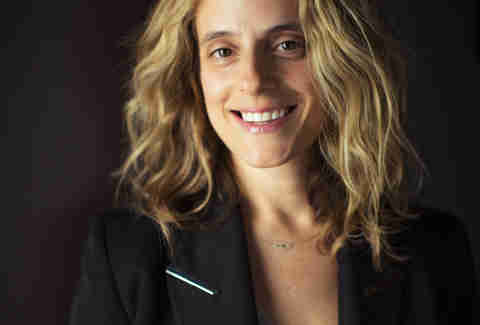 Julianne Feder is a contributing writer to Thrillist. She happens to think she has a pretty cool dream job getting to talk to all these badass folks! To learn more and watch her Food Network debut follow her @TheGastroNerd or check her out on YouTube at YouTube.com/c/JulianneFeder.